The value of fruits cannot be over-stressed, can it? Having said that, how many fruits can you name? Or, better, do you know about fruits you haven’t tasted in your life yet? Now that the cherished and the treasured mango season is on wane, you might as well find a new little something for your palate. Well, I got your back Jack! Care to plunge into this ‘fruity’ affair? Read on. This is a fruit loved by many, despite its overpowering and uninviting smell. The fruit is used to make sweets, chocolates and pastries.The name ‘durian’ refers to the numerous spike protuberances of the fruit. Many people in southeast Asia are of the opinion that Durian is the ‘king of fruits’! Shaped like an orb, the langsat can be eaten quite easily since its skin is thin. It is commonly made into syrup for consumption. The tree is about 30 meters (or 98 feet) in height and 75 centimeters (or 30 inches) in diameter. Langsats occur in clusters, like grapes in South Sumatra, Indonesia. 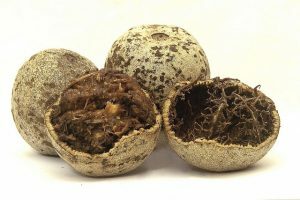 Wood apples are housed by India and Sri Lanka. The shell of the fruit is tough, but the fruit is known to showcase medicinal properties. Hindus revere the tree. 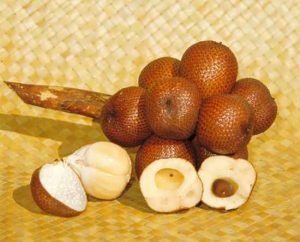 Wood apple also goes by names like ‘Bael’, ‘Bengal quince’, ‘Golden apple’, ‘Japanese bitter orange’ and ‘Stone apple’. The tree Platonia or Bacuri – hosted by Brazil and Paraguay – can grow up to a height of 40 m. The fruit, however, has the dimensions of an orange. The outer rim is yellow and wide, and is known to secrete yellow latex if (or when) pressed. 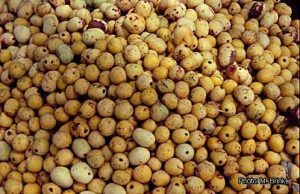 The gluey, white pulp of the fruit stands guarded by numerous black seeds and gives way to a pleasingly sweet, yet sour flavor. Another fruit from the land of South America, Cocona has its look alike in tomatoes. As far as its taste is concerned, it stands midway between tomatoes and lemons. The seed can transform into a fruit in nine months, following which it usually takes a full couple of months in order to mature. The berry can be yellow, red or orange in hue! 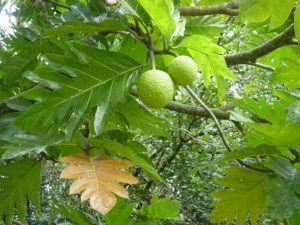 The ripe Breadfruit is pliable and sweet, conversely the unripe version is normally more stiff and starchy. So it is either baked or boiled, roasted or fried. The tree is a large one, and is planted in Philippines and Indonesia and islands pertaining to the southeastern region of Asia. The term ‘breadfruit’ implies its taste when cooked, which is remarkably parallel to that of recently baked bread! Nangka or the jackfruit is a very, very heavy fruit and is extremely popular in the state of West Bengal It can be eaten as it is or dried. 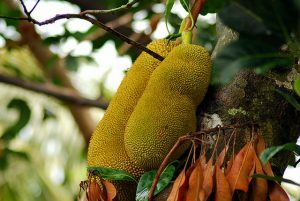 Jackfruit, or simply ‘Jack’ or ‘Jak’ flaunts a very distinguishing, strong and sweet aroma. The inside of the fruit smells a lot like pineapple and banana. Kiwano or Cucumis metuliferus is an African fruit which is known as the ‘blowfish fruit’ in the south eastern parts of the United States of America. 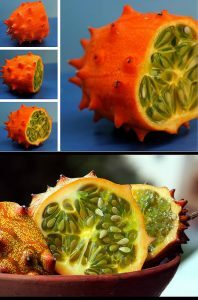 Kiwano, apart from being eaten, is used also for garnishing purposes. The peel is colored yellowish orange and the edible portion is jelly-like and lime green in hue. 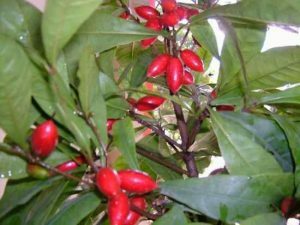 Today, it is grown in nations such as Chili, Australia as well as New Zealand. 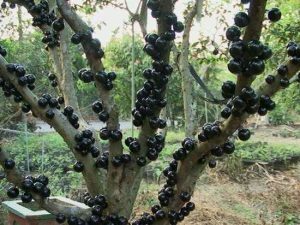 The Brazilian grape tree – predominant in South-Eastern parts of Brazil – is outright weird because, hold on, the trunk of the tree bears the fruits along with its branches.This makes the tree look like it is covered with pimples! The interior of the fruit has white or pink flesh along with seeds. The fruit is made into tarts, jams and wines. Add some furs to a Strawberry and you would get a Rambutan. Ta-DA! 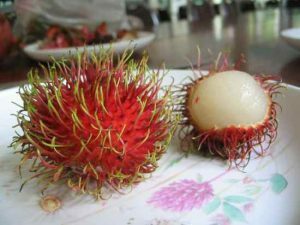 This fruit which looks like a lychee from inside and has a diameter of 3 cm to 6 cm.Obtained in Indonesia and Malaysia, this fruit is juicy and delicious like an exotic grape!The oval fruit is named ‘Chinese Sucker’ in Costa Rica. The skin of the fruit is moderately hard, nonetheless it taste sweet and sour. 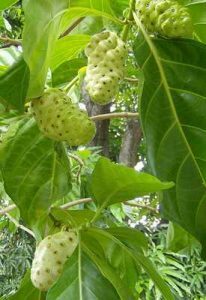 Noni (also great moringa, Indian mulberry, dog dumpling and pace) is a native of South-East Asia and Australasia. Noni occurs all year round and when it matures, it spreads a very pungent stink around (thus the names vomit fruit or cheese fruit)! The fruit can be cooked as well as eaten raw and is a source of high fiber, Vitamin A, protein, Iron, Calcium and the like. It is a part of the coffee family and helps in healing liver ailments. Marula is initially green, then yellow and its flesh is juicy with a striking aroma. 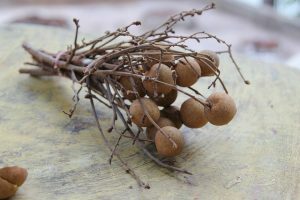 The fruit, once detached from the body of the tree, begins to ferment (turning into alcohol) and invites animals like elephants and baboons in Southern and Eastern Africa. It helps manufacture the popular liquor Amarula. It is housed in North America and is sweet when eaten. To differentiate it from raspberry, one might note its orange tinge. It is used to make juice, wine, candies and jams as well. 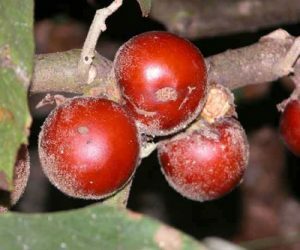 The shrub can be as tall as 4 meters whereas the fruit borne by it vaunts a length of about 2 centimeter. The ‘Snake fruit’ (thanks to their red-brown, flaking skin) with its apple-like consistency, is a resident of Sumatra, Indonesia. The fruit develops at the base of palm, and possesses three segments, each with a big, black seed. 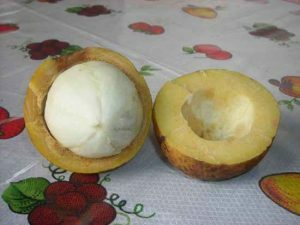 The inside, white part of the fruit is sweet and acidic. 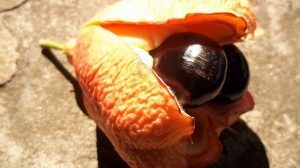 Also referred to as the ‘vegetable brain’, ackee is the national fruit of Jamaica. Besides, it can be traced in West Africa, Haiti and Cuba. If it is consumed in an improper fashion, it might even lead to sickness and bring about vomiting. However, in extreme cases, the person can also go to coma or die. Weird and exotic indeed! Mangosteen is widely available in countries like Indonesia, Malaysia and Thailand (starting roughly from May to September). The outer part is hard, nonetheless the fruit has a sweet and a tangy taste. 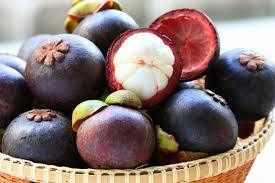 Mangosteen or mangkut is termed as the ‘queen of Thai fruits’. 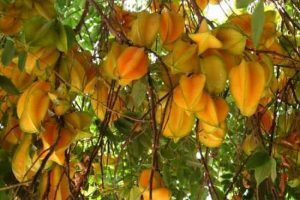 Philippines, South-East Asia, East Asia, South America, Florida and Hawaii abounds with the Star fruit or Carambola.Not only is the fruit juicy and delicious but is also used to decorate drinks or platters of food. The fruit is generally about 2 to 6 inches long and oval in shape. Physalis are much like tomatoes in taste, but their beautiful husks look like lanterns.The fruit is small in size and orange in color. 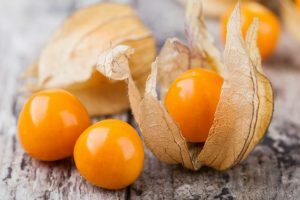 Physalis or the ‘Golden berry’ can be made into sauce.The plants can reach a maximam height of about 3 meters and are found mostly in the warm temperate and subtropical regions of the world. Called Dragon fruit, Pitaya is a sweet-scented cactus fruit dwelling in Asia, Australasia, North America and South America. 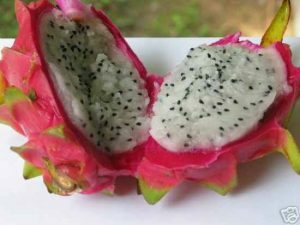 The sour Pitaya is widespread in America, while the sweet Pitaya is eaten in Asia.It is called ‘Dragon fruit’ because it resembles dragon scales/flames. This white fruit aids in the process of digestion. It has black seeds and it tastes very mild. 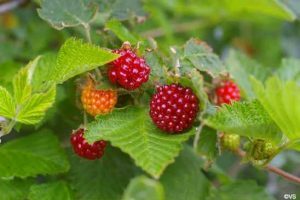 The sweet berries – ‘sweet’ owing to the presence of ‘miraculin’, an alternative for sugar – overflow in West Africa. The glycoprotein component of the fruit fastens itself to the taste buds of the tongue – thus, no matter what you eat within half an hour of having this piece of miracle, that would inevitably taste sweet. So you won’t have to fret about calories every time you take a bite of sweet-something, you just have to have the fruit! The dried berries are exported. So which is your new favorite fruit? Have a pick!